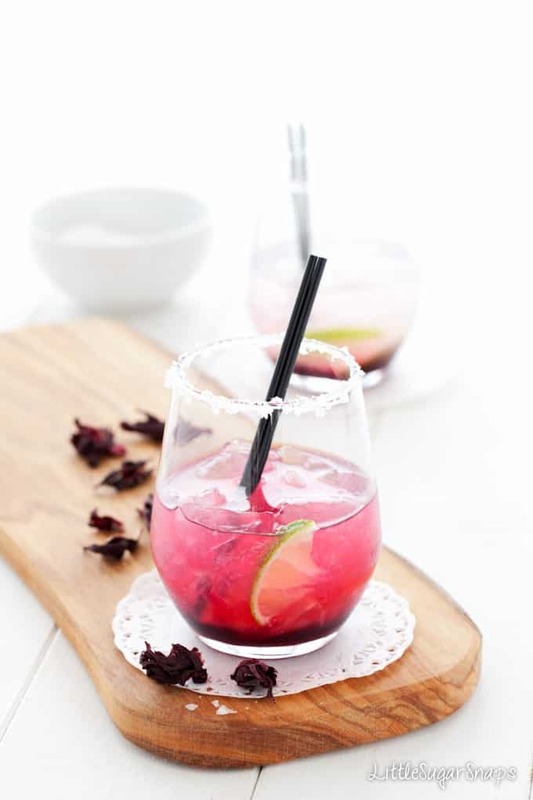 The JH Hibiscus Margarita blends enticing, dark hibiscus syrup with Cointreau, lemon, lime and tequila. Tangy. Fruity. Strong. It’s a beautiful cocktail. One year ago today I flew off to Chicago for a short break with my best friend. Whilst there, I had a stunning Hibiscus Margarita in the Signature Room of the John Hancock Center. It was a blend of hibiscus syrup, Cointreau, lemon, lime and tequila. It was tangy, fruity and strong. Just how I like my cocktails. The JH Hibiscus Margarita is my re-creation of that drink. I’m not normally a tequila kind of girl, but it was the mention of hibiscus that drew me in and made me order a margarita. I like to try unusual flavours. It did not disappoint. Hibiscus is a flower that is commonly dried and used in herbal tea. It tastes floral and fruity. It is quite punchy and delivers juicy cranberry & raspberry flavours. That’s why it teams up so well with the lemon & lime in this Hibiscus Margarita. It really is something special. And what I really can’t get enough of in this Hibiscuc Margarita is a sip of that vibrant, sweet, tangy hibiscus syrup followed by a strong, hearty lick of tequila. After my first taste of the Signature Room Hibiscus Margarita I knew instantly I would be attempting to make my own at home. At that time, the idea of blogging had not even crossed my mind. Back then I just called it ‘that cocktail I had up the Hancock Tower’. Not very glam. Not very descriptive. In fact, an utterly useless name (scoff). Forgive me for getting carried away, but well, the hibiscus syrup is simply too gorgeous to keep solely for the drinkers. For the non-drinkers and children amongst us, I’ve also created a Hibiscus & Raspberry Soda drink. It’s divine. I’ve also got a number of recipes I’m working on, due out in the autumn, that will make further use of this bewitching, beautiful hibiscus liquid. 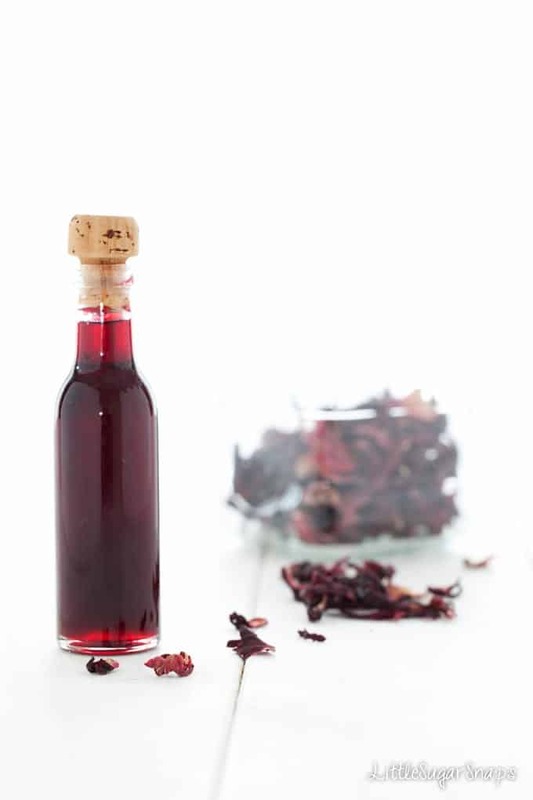 So now you have plenty of reasons to grab a bag of dried hibiscus flowers and make the syrup. Anyway, Chicago. Why was I there? Well, last year I had a significant birthday. Once you approach 40 it’s like an invitation for everybody to demonstrate their fantastic memory skills by pointing out that you will soon be 40…. Then repeating that small, insignificant, fact every time they see you. Every time. My best friend did not join in this age bashing festival because she loves me dearly was also 40 last year. We decided that we would accept the barrage of age reminders and the age related jokes in good faith. We also hatched a plan to celebrate in style by skipping off to Chicago for a long weekend. We had 4 days of fun in this fabulous city. The sky was blue & it was warm the whole time. That was just as well since wherever we go on our hols we generally spend our time wandering around outside, gawping at the scenery & architecture (plenty of that in Chicago). I got slightly obsessed by The Bean (aka Cloud Gate) and trying to squeeze a Toy Story Hamm Piggy Bank into my suitcase for Hannah. Plus, since we are both huge ER fans, we got ourselves onto a bit of an ER related trail, complete with a ‘quote from the show’ game that lasted the entire length of the holiday. Should I ever be admitting that? Probably not. Of course, bagging a window seat in the Signature Room, slowly sipping a well made cocktail like the Hibiscus Margarita and taking in the far-reaching views is hard to beat too. All in all, Chicago at 40 was a blast. Whenever I make myself the JH Hibiscus Margarita, I’ll be thinking fond memories. Cheers JH. 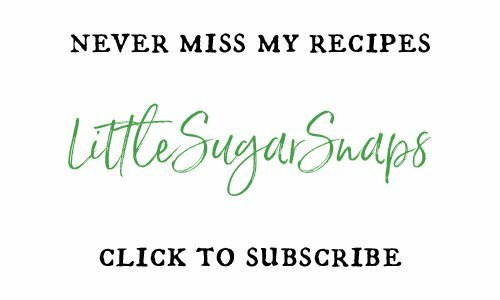 If you’ve enjoyed reading this post, please leave a comment or share it with friends – you would make me very happy. 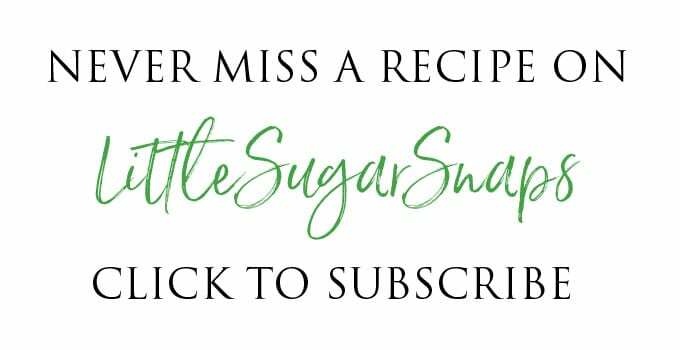 If you’d like to get notified of my future posts you can also follow along by email. 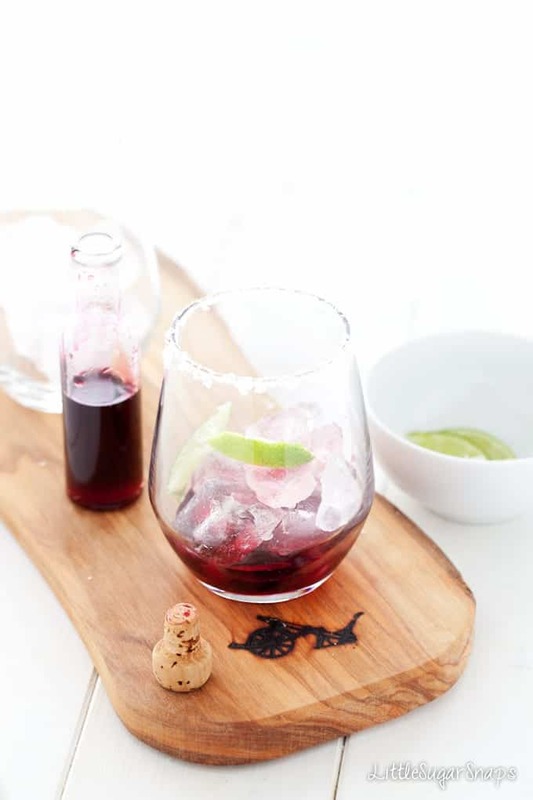 The JH Hibiscus Margarita blends enticing, dark hibiscus syrup with Cointreau, lemon, lime and tequila. Tangy. Fruity. Strong. It's a beautiful cocktail. That syrup looks delicious. I’m going to have to give it a try! 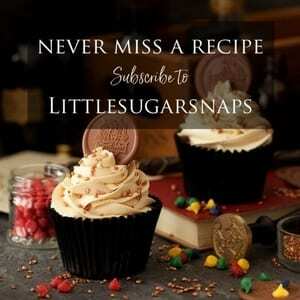 Be warned – once made you’ll be hooked! Wow ,that looks so refreshing and so appetizing, love the colors too,I will try it over the weekend. I love hibiscus! There’s a hibiscus tea sangria by Argo that I want to recreate, and you’ve just inspired me! Definitely adding this one to my summer drink list!! 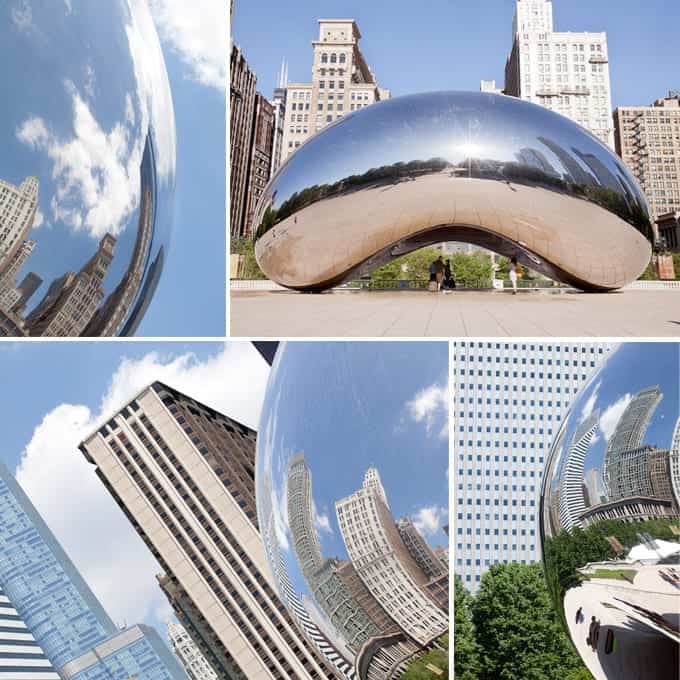 Love the Chicago photos! I love the color of this cocktail! I really like hisbiscus as a flavor, but never tried it in a margarita, this sounds so interesting. I work for a foodtech company called Chicory and we would love to have you as a recipe partner. Are you interested? Hi Chi, thanks for your comments – much appreciated. Do you have a web address for Chicory – would love to check it out. Perfect way to start off the weekend! Happy Friday! Love the non-alcoholic alternative too! This recipe looks delicious from start to finish. Let the weekend begin! Also, nice shots! 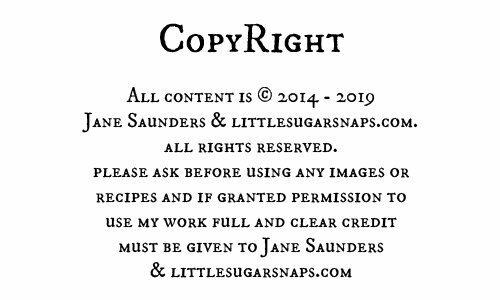 What beautiful photos Jane! 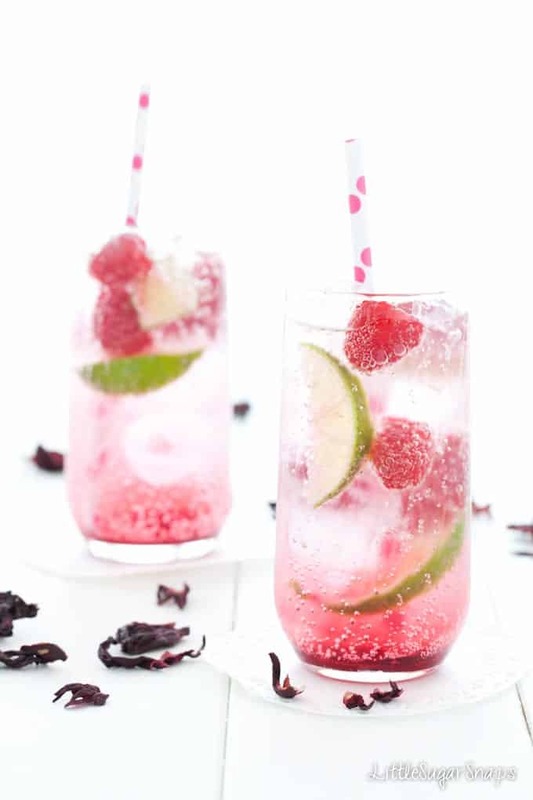 The cocktail looks delicious for summer! I still haven’t visited Chicago yet, but it looks like you had a great time! I’m definitely loving all the hibiscus recipes I’ve been seeing lately. Adding it as a flavoring in margaritas is a great idea! Oh lovely Hibiscus, in Cambodia they also told me it is good for healthy hair! need to try it very soon! Hi Claudia – thanks for the healthy hair tip off – I’ve just googled ‘hibiscus hair’ and found plenty of homemade hair treatments and remedies out there. What a great way to celebrate a milestone birthday. Or any birthday, really. The color of that syrup is stunning. I’ve pinned and liked this cocktail all over the place. Can’t believe I’m only just getting here now for the recipe. Looking forward to trying it.